Re-awaken dry hair to the wonders of moisture. It’s half of this and half of that. The perfect mix, the perfect match. That’s what you’ll get with 50:50 Balanced™ Hydrating-Calming Conditioner. Ideal for re-awakening dry hair to the wonders of moisture, this conditioner works its magic on a daily basis. A blend of organic ingredients and protection factors make dull hair the life of the party. Shine says glow for it. This sulfate-free conditioner has no surfactants that dull, strip color, or damage your hair. It’s 100% color-safe, paraben- free, and cruelty-free. Look in the Ingredients tab for a listing of USDA certified organic ingredients. Apply after 50:50 Balanced™ Hydrating-Clarifying Shampoo, massaging rich moisture into drenched hair. Rinse thoroughly and style. 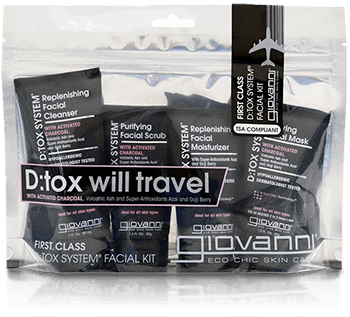 I wish more type 4 naturals would try Giovanni products. I have tried so many different lines, and Giovanni’s products consistently deliver for my hair. My hair is very tightly coiled and gets matted if left to dry out. This is THE best conditioner for detangling my hair that I have found. It just works. I have minimal shedding and pretty non-existent breakage when I use this to detangle my hair, and that is not the experience that I have had with products that cost 2-4 times the amount this conditioner does. If only more women knew how great this brand is for tightly coiled hair. It may be that it is not marketed towards women of color as strongly, (which is a shame since the products work so well and have safe ingredients). I appreciate that the ingredients are responsibly chosen. 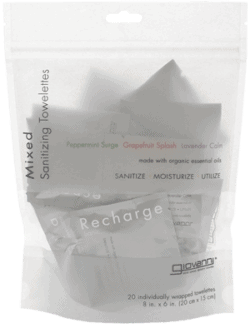 I notice that the fragrances don’t linger longer than I want them hanging around, and I haven’t experienced any irritation with them. I could go on. Great product. As in my other review for the matching shampoo, this conditioner is excellent. It rinses out well and I can immediately feel the softness and silkiness in my hair. No residue at all. My hair feels so clean after using this set and styles beautifully. Tames hair in very humid weather and does not weigh my long hair down. In fact it is the opposite. It is shiny and light. Love!! I also love the packaging as well. Slim and sleek. Perfect all around. Please don’t change either set as far as ingredients or your packaging as so many other brands have, If it isn’t broken, don’t fix it!! Thank you Giovanni! !